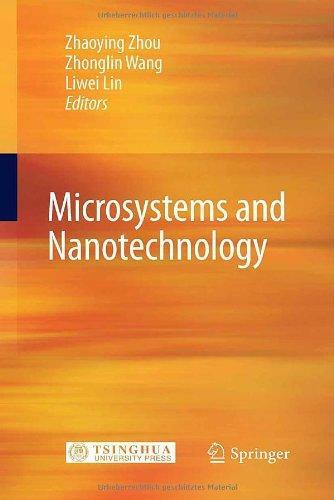 Microsystems and Nanotechnology | Free eBooks Download - EBOOKEE! Posted on 2013-07-26, by nobihai. Microsystems and Nanotechnology 2012 | 1033 Pages | ISBN: 3642182925 , 7302243077 | PDF | 31 MB Microsystems and Nanotechnology presents the latest science and engineering research and achievements in the fields of microsystems and nanotechnology, bringing together contributions by authoritative experts from the United States, Germany, Great Britain, Japan and China to discuss the latest advances in microelectromechanical systems (MEMS) technology and micro/nanotechnology. The book is divided into five parts the fundamentals of microsystems and nanotechnology, microsystems technology, nanotechnology, application issues, and the developments and prospects and is a valuable reference for students, teachers and engineers working with the involved technologies. No comments for "Microsystems and Nanotechnology".